No hay sucesor directo. De acuerdo a la aplicación FMD77 o PMC71. 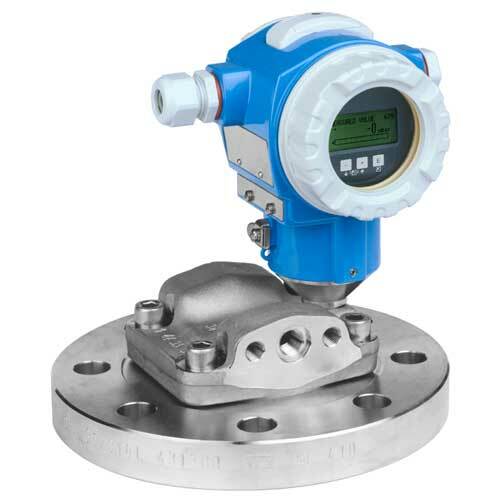 Differential pressure transmitter, used for measuring flow rate, level, pressure and differential pressure. Specjalista z firmy Endress+Hauser podpowiada, w jaki sposób można uniknąć najczęstszych problemów z pomiarami różnicy ciśnień. Wenn s heiß hergeht, wie z. B. beim Härten, Anlassen und Vergüten von Grobblechen in Durchlaufglühöfen, ist robuste Messtechnik gefragt. Der Ofen der voestalpine Grobblech GmbH (voestalpine) hatte eine Reparatur nötig, durch die neben der Erhöhung des Durchsatzes auch der Energie- und Gasverbrauch reduziert werden sollte. Dass Verbrennungsluft wie auch Mischgas im bestmöglichen Verhältnis zugeführt werden, stellt heute ein komplettes Paket an Feldinstrumenten von Endress+Hauser sicher. Consists of: push button, cover + screws. Usage: external operation, FMB70, FMD76/FMD77/FMD78, PMC71, PMD70/PMD75, PMP71/PMP75. Consists of: push button, cover + screws. Colour light grey. Usage: external operation, FMD76/FMD77/FMD78, PMC71, PMD70/PMD75, PMP71/PMP75. Consists of: push button, cover + screws. Colour dark grey. Usage: external operation, FMB70, FMD71/FMD72/FMD76/FMD77/FMD78, PMC71, PMD70/PMD75. Consists of: cable gland M20. O-ring 18.72x2.62 VMQ. Usage: FMB70, FMD76/FMD77/FMD78, PMC71, PMD70/PMD75, PMP71/PMP75. Consists of: gasket 18.72x2.51 NBR. Adapter M20 > G1/2. O-ring 18.77x1.78 NBR. Usage: FMB70, FMD76/FMD77/FMD78, PMC71, PMD70/PMD75, PMP71/PMP75. Usage: FMB70, FMD76/FMD77/FMD78, PMC71, PMD70/PMD75, PMP71/PMP75. Sealing set FVQM, T14.5 pcs. Consists of: 5x O-ring 75.87x2.62 FVMQ. Usage: housing T14, FMD77/FMD78, PMD70/PMD75, PMP71/PMP75. Material: aluminium, coated. O-ring EPDM, FDA. Not for EEx d/XP. Usage: FMB70, FMD71/FMD72/FMD76/FMD77/FMD78, PMC71, PMD70/PMD75, PMP71/PMP75. Material: 316L. O-ring EPDM, FDA. Individual tested, EEx d/XP. Usage: FMD71/FMD72/FMD76/FMD77/FMD78, PMC71, PMD70/PMD75, PMP71/PMP75. Material: 316L. Flat gasket EPDM, centering ring, screw. Not for EEx d/XP. Usage: FMB70, FMD71/FMD72/FMD76/FMD77/FMD78, PMC71, PMD70/PMD75, PMP71/PMP75. Material: 316L. Sight glass: mineral glass. Flat gasket EPDM, centering ring, screw. For approval 2,3,4,7,8,Q,W. Usage: FMB70, FMD76/FMD77/FMD78, PMC71, PMD70/PMD75, PMP71/PMP75. For approval BC,BD,IB. Usage: FMD71/FMD72. Material: 316L. Sight glass: Polycarbonate PC. Flat gasket EPDM, centering ring, screw. For approval A,E,F,H,I,R,S,U,1,6. Usage: FMB70, FMD76/FMD77/FMD78, PMC71, PMD70/PMD75, PMP71/PMP75. For approval AA,BA,CA,CB,CC,CD,FA,FB, FD,IA. Usage: FMD71/FMD72. Material: 316L. O-ring FVMQ. Individual tested, EEx d/XP. Usage: FMD76/FMD77/FMD78, PMC71, PMD70/PMD75, PMP71/PMP72/PMP75. Material: 316L. Sight glass: mineral glass,coated. O-ring FVMQ. Individual tested, EEx d/XP. Usage: FMD71/FMD72/FMD76/FMD77/FMD78, PMC71, PMD70/PMD75, PMP71/PMP75. Material: aluminium. Sight glass mineral glass, coated. O-ring EPDM, FDA. Individual tested, EEx d/XP. Usage: FMD71/FMD72/FMD76/FMD77/FMD78, PMC71, PMD70/PMD75, PMP71/PMP75. Material: 316L. Sight glass: mineral glass, coated. O-ring EPDM, FDA. Individual tested, EEx d/XP. Usage: FMD71/FMD72/FMD76/FMD77/FMD78, PMC71, PMD70/PMD75, PMP71/PMP75. 4-20mA, version 2.0. Push button on housing. Usage: FMD76/FMD77/FMD78, PMC71, PMD70/PMD75, PMP71/PMP75. 4-20mA, version 2.0. Push button on electronics. Usage: FMD76/FMD77/FMD78, PMC71, PMD70/PMD75, PMP71/PMP75. 4-20mA, version 02.10.zz. Push button on electronics. Usage: FMB70, FMD76/FMD77/FMD78, PMC71, PMD70/PMD75, PMP71/PMP75. 4-20mA, version 02.10.zz. Push button on housing. Usage: FMB70, FMD76/FMD77/FMD78, PMC71, PMD70/PMD75, PMP71/PMP75. 4-20mA, version 02.11.zz. Push button on electronics. Usage: FMB70, FMD76/FMD77/FMD78, PMC71, PMD70/PMD75, PMP71/PMP75. Not for MID parts certificate (PMP71). 4-20mA, version 2.11.zz. Push button on housing. Usage: FMB70, FMD76/FMD77/FMD78, PMC71, PMD70/PMD75, PMP71/PMP75. Not for MID parts certificate (PMP71). Consists of: electronics HART Ex, version 2.1. Push button on electronics. Display housing. Usage: conversion electronics 1.0 > 2.1, FMD76/FMD77/FMD78, PMC71, PMD70/PMD75, PMP71/PMP75. Consists of: electronics HART Ex, version 2.1. Push button external. Push button, housing HART version 2. Display housing. Usage: conversion electronics 1.0 > 2.1, FMD76/FMD77/FMD78, PMC71, PMD70/PMD75, PMP71/PMP75. PROFIBUS PA, Ex. Hardware version 02.00. Software version 04.00.zz. Current consumption 13mA +/-1mA. Push button on electronics. Usage: FMB70, FMD76/FMD77/FMD78, PMC71, PMD70/PMD75, PMP71/PMP75. PROFIBUS PA, Ex. Hardware version 02.00. Software version 04.00.zz. Current consumption 13mA +/-1mA. Push button on housing. Usage: FMB70, FMD76/FMD77/FMD78, PMC71, PMD70/PMD75, PMP71/PMP75. FOUNDATION Fieldbus, Ex. Hardware version 02.00. Software version 03.00.zz. Current consumption 15mA +/- 1mA. Push button on electronics. Verwendung: FMB70, FMD76/FMD77/FMD78, PMC71, PMD70/PMD75, PMP71/PMP75. FOUNDATION Fieldbus, Ex. Hardware version 02.00. Software version 03.00.zz. Current consumption 15mA +/- 1mA. Push button on housing. Verwendung: FMB70, FMD76/FMD77/FMD78, PMC71, PMD70/PMD75, PMP71/PMP75. PROFIBUS PA, Ex. Hardware version 02.00. Software version 03.00.zz. Current consumption 13mA +/-1mA. Push button on electronics. Usage: FMD76/FMD77/FMD78, PMC71, PMD70/PMD75, PMP71/PMP75. PROFIBUS PA, Ex. Hardware version 02.00. Software version 03.00.zz. Current consumption 13mA +/-1mA. Push button on housing. Usage: FMD76/FMD77/FMD78, PMC71, PMD70/PMD75, PMP71/PMP75. FOUNDATION Fieldbus, Ex. Hardware version 02.00. Software version 02.00.zz. Current consumption 15mA +/-1mA. Push button on housing. Usage: FMD76/FMD77/FMD78, PMC71, PMD70/PMD75, PMP71/PMP75. FOUNDATION Fieldbus, Ex. Hardware version 02.00. Software version 02.00.zz. Current consumption 15mA +/-1mA. Push button on electronics. Usage: FMD76/FMD77/FMD78, PMC71, PMD70/PMD75, PMP71/PMP75. FOUNDATION Fieldbus, Ex. Hardware version 02.00. Software version 04.00.zz, FF, DevRev07. Current consumption 15mA +/-1mA. Push button on housing. Usage: FMB70, FMD76/FMD77/FMD78, PMC71, PMD70/PMD75, PMP71/PMP75. Not for SIL. FOUNDATION Fieldbus, Ex. Hardware version 02.00. Software version 04.00.zz, FF, DevRev07. Current consumption 15mA +/-1mA. Push button on electronics. Usage: FMB70, FMD76/FMD77/FMD78, PMC71, PMD70/PMD75, PMP71/PMP75. Not for SIL. PROFIBUS PA, Ex. Hardware version 02.00. Software version 04.01.zz, PROFIBUS PA, Profile 3.02, DevRev03. Current consumption 13mA +/-1mA. Push button on electronics. Usage: FMB70, FMD76/FMD77/FMD78, PMC71, PMD70/PMD75, PMP71/PMP75. PROFIBUS PA, Ex. Hardware version 02.00. Software version 04.01.zz, PROFIBUS PA, Profile 3.02, DevRev03. Current consumption 13mA +/-1mA. Push button on housing. Usage: FMB70, FMD76/FMD77/FMD78, PMC71, PMD70/PMD75, PMP71/PMP75. Setup-/diagnostic software included. Usage: FMB70, FMD76/FMD77/FMD78, PMC71, PMD70/PMD75, PMP71/PMP75. RFI-filter. FOUNDATION Fieldbus. Usage: FMB70, FMD76/FMD77/FMD78, PMC71, PMD70/PMD75, PMP71/PMP75. Overvoltage protection, RFI-filter. PROFIBUS PA. Usage: FMB70, FMD76/FMD77/FMD78, PMC71, PMD70/PMD75, PMP71/PMP75. Overvoltage protection, RFI-filter. FOUNDATION Fieldbus. Usage: FMB70, FMD76/FMD77/FMD78, PMC71, PMD70/PMD75, PMP71/PMP75. RFI filter. PROFIBUS PA. Usage: FMB70, FMD76/FMD77/FMD78, PMC71, PMD70/PMD75, PMP71/PMP75. Not for TIIS. RFI-filter. Not for TIIS Ex ia, TIIS Ex d. Usage: FMB70, FMD71/FMD72/FMD76/FMD77/FMD78, PMC71, PMD70/PMD75, PMP71/PMP75. Overvoltage protection, RFI-filter. Not for TIIS Ex ia, TIIS Ex d. Usage: FMB70, FMD71/FMD72/FMD76/FMD77/FMD78, PMC71, PMD70/PMD75, PMP71/PMP75. Digital display, 3 push buttons, snapped bracket. Languages DE/EN/FR/ES/IT/NL, from software version 02.00.zz; Usage: electronics HART. Languages DE/EN/FR/ES/IT/NL/JA/ZH. From software version 02.01.zz; Electronics HART. Languages DE/EN/FR/ES/IT/JA/ZH/RU, from software version 02.11.zz; Electronics HART. From software version 04.00.zz; Electronics PROFIBUS PA. From software version 03.00.zz; Electronics FOUNDATION Fieldbus, FMB70, FMD76/FMD77/FMD78, PMC71, PMD70/PMD75, PMP71/PMP72/PMP75. From software version 01.00.zz; Electronics HART, FMD71/FMD72. Screws 7/16-20UNF, stainless steel. Material: 316L. Usage: wall/pipe mounting 2", FMD77/FMD78, PMD75.